We're on day 3 of our Creative Kits reveal. Don't forget to take a look at Day 1 and Day 2 of the online release. 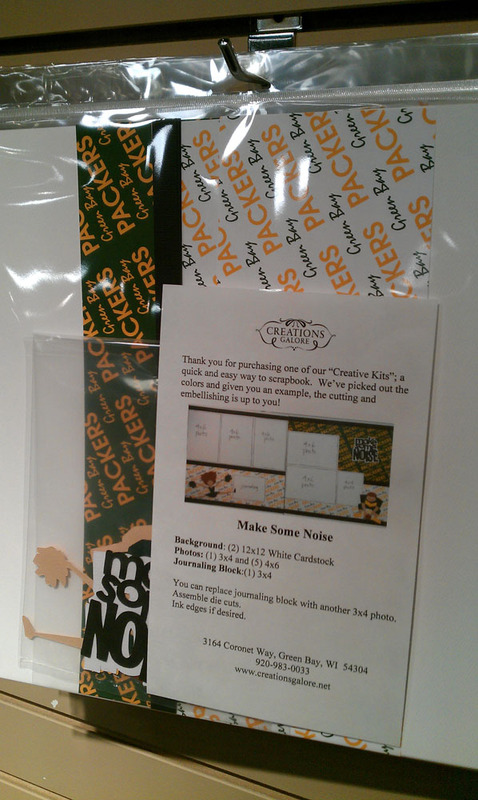 Haven't heard about our Creative Kits? 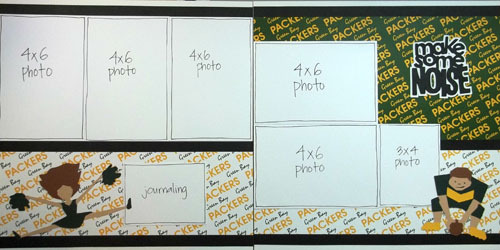 These pre-designed scrapbook kits include all the cardstock, patterned papers, die cut pieces, and journaling blocks needed to complete one double page layout. Cutting and assembly instructions, as well as a color photo, are included in the kit as well. We love this idea! The design work is all done for you, yet you have the creative freedom to use different photo sizes, add journaling or other embellishments, and use the only the die cuts and patterned papers that you want to. Or use our guidelines and crete the layout exactly as it's shown -- you'll have a two page layout full of memories in no time at all! Today's release is focusing on something dear to us here in Green Bay, Wisconsin: Packer layouts! 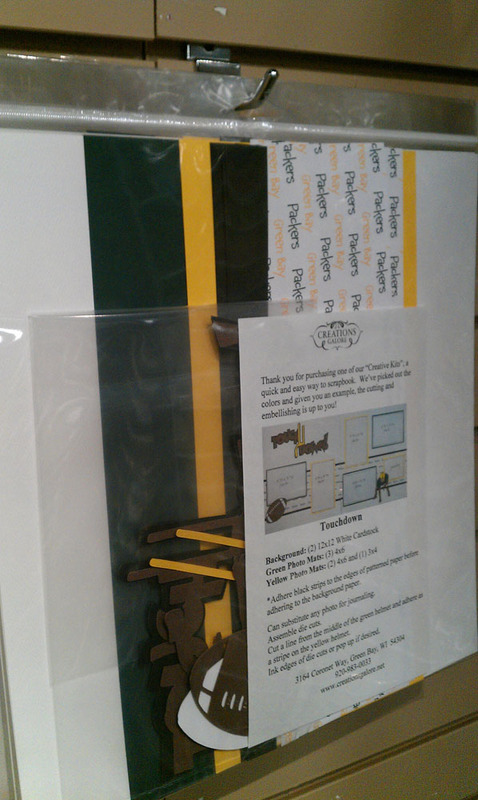 All kits are $8.99 and can be purchased online or in store at 3164 Coronet Way in Green Bay, Wisconsin.